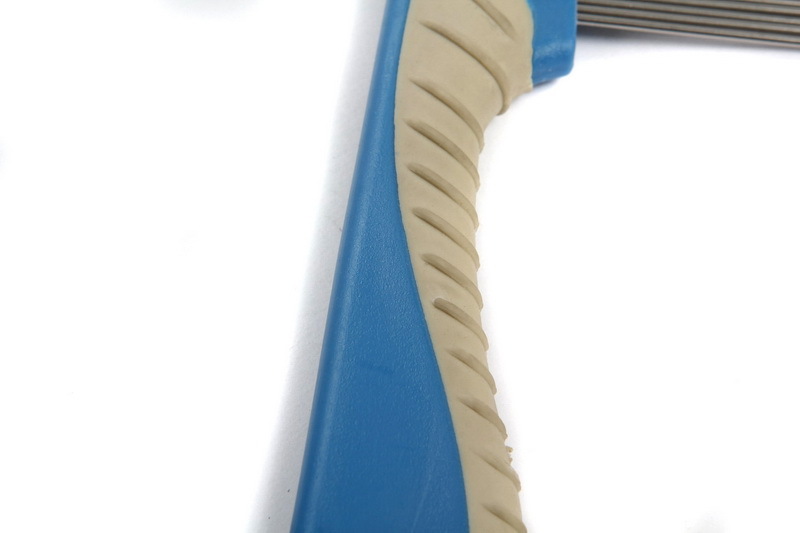 Pet Lice Comb, this model, it is very popular. it has two sizes, one long teeth, one short teeth. It is double use. You could choose them as one set. It is better to comb the hairs for out pets. 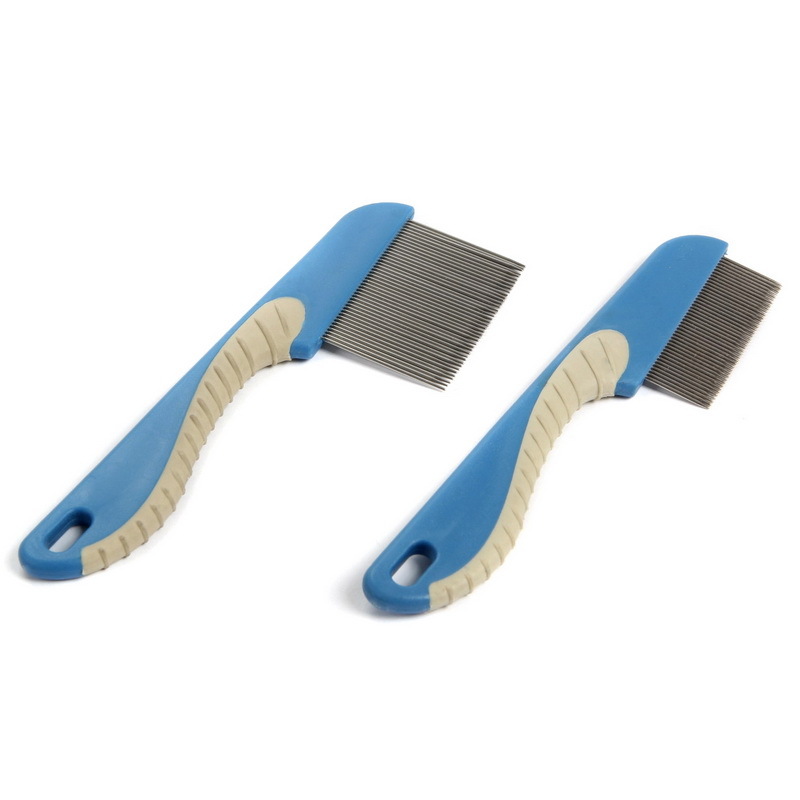 Nit lice comb, it can remove the hairs more convenient. I believe you will love it. Yangzhou Huating Brush Co.,ltd the direct manufacturer in China which was founded in 1996. 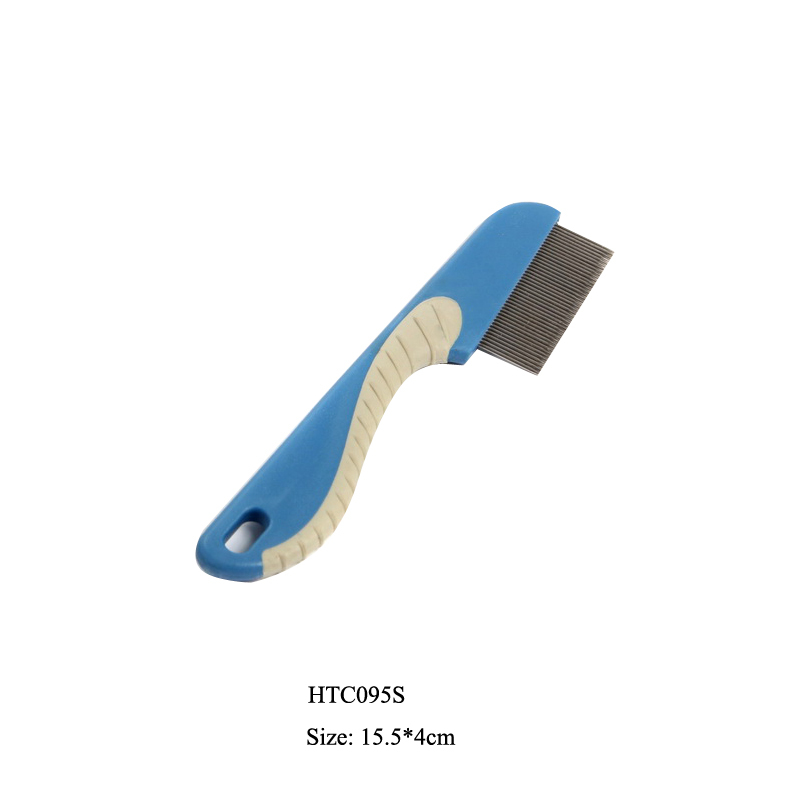 We are specialized in Pet Grooming Tools such as brushes, combs, nail clippers and stainless steel scissors for dogs, cats, horses, and other small animals, and also produce hair brushes, bath brushes, shoe brushes, nail brushes and other related daily use brushes for man use. 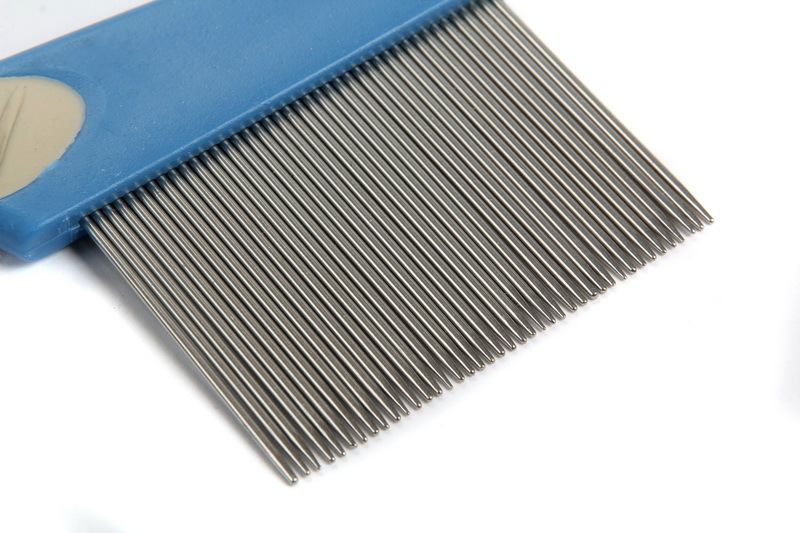 Looking for ideal Pet Comb Nit Lice Comb Manufacturer & supplier ? We have a wide selection at great prices to help you get creative. 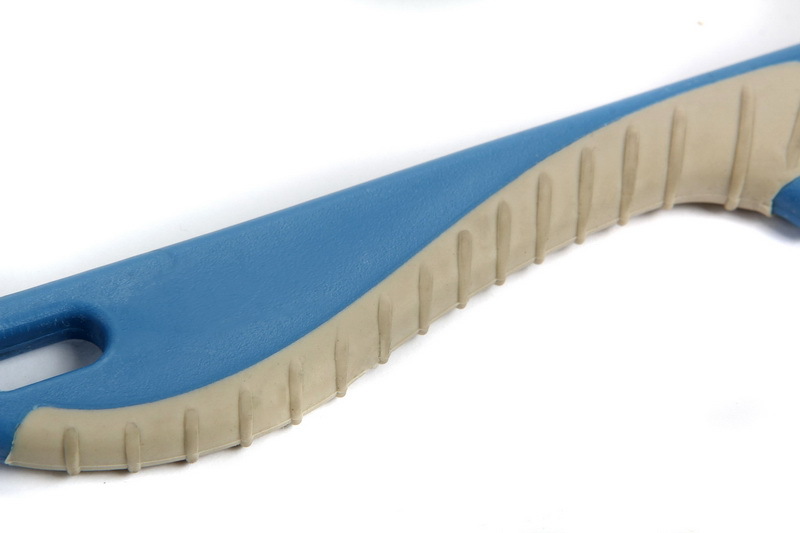 All the Pet Grooming Comb are quality guaranteed. 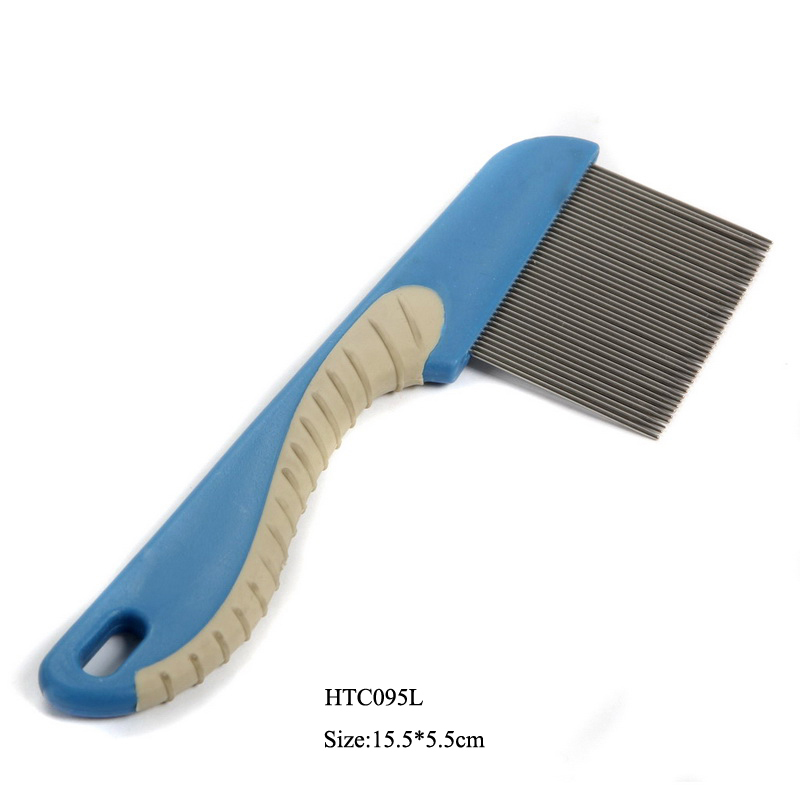 We are China Origin Factory of Metal Pet Comb. If you have any question, please feel free to contact us.